Southern Highlands Community Transport offers a shuttle service for long distance transport from Monday to Friday. 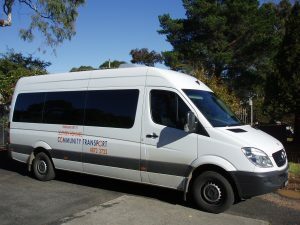 We classify long distance transport as outside of the Wingecarribee Shire. We ask you to please make your appointments between the hours of 10AM and 12.30PM. One of our drivers will pick you up from your home between 7AM and 8.30AM – you will be given an exact pickup time the working day before. Return pickups from the city are between 1PM and 2.30PM. For more information or to make a long distance booking please contact our office on 4872-3722.